The longtime rival of Itagaki Manabu, Imai was the one boxer who managed to thwart Itagaki in his high-school days. They fought a total of three times in the amateur ring; each time Imai was victorious. 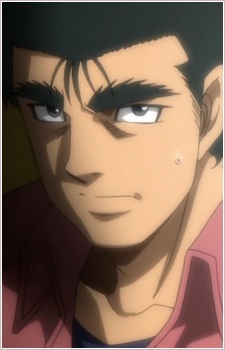 His build, KO pattern, and even hairstyle are remarkably similar to those of Itagaki's senpai, Makunouchi Ippo. Imai is ordinarily cool and composed, bearing a poker face even in the heat of battle. It seems the only people who can rouse him out of this perpetual calm are Ippo, Itagaki, and Itagaki's sister Nanako -- with whom Imai is very much smitten.